I love wireless headphones, especially when I’m working out. But the bulk of most wireless earbuds renders them susceptible to repeatedly falling out of my ears and interrupting my workouts (though, to be fair, I have small-ish ears). Luckily for me, Yurbuds has introduced a pair of wireless earbuds featuring their well-regarded twist-lock technology. Yurbuds is known for its patented “twist-lock” technology, a special design that prevents earbuds from falling out (no matter what). I’ve been using Yurbuds for a few years now, and I’m happy to say that the twist-lock mechanism, which is basically just a sculpted, silicone earbud cover that you insert in your ear canal and twist, works as advertised. So while the Leap Wireless are as bulky as most of their wireless competitors, you can rest assured that they won’t come out until you take them out. Leap Wireless earbuds consist of two large-ish earbuds connected with a short, flat, fabric-wrapped wire. There’s a three-button remote (volume up/down, play/pause/skip/pair) and a microphone on the cable that curiously ends up behind your ear when you insert the buds. I wouldn’t use it for lengthy conversations, but it’s good enough for taking a quick mid-workout call. Although the Leap Wireless’ cord is shorter than the cord of the Monster iSport Super Slim wireless earbuds, I found the Leap Wireless to be more comfortable thanks to that fabric wrapping. Unlike the Super Slims, which have a flat, rubbery cable, the Leaps’ cord didn’t catch on my hair or clothing, nor did it pull the earbuds out of my ears during high-movement workouts. Couple this cord with the twist-lock earbuds, and you have a pair of wireless headphones that aren’t going anywhere. The Yurbuds Leap Wireless won't fall out of your ears during rigorous workouts, but not everyone will find them comfortable to wear. The size of the twist-lock earbuds take some getting used to. They’re not the most comfortable earbuds I’ve used, but I’ll trade a little discomfort for the distraction of worrying that my earbuds are going to fall out every time I turn my head. There’s also a Leap Wireless model for women, which features smaller earbuds and a turquoise-and-white color scheme. The regular model is available only in black. 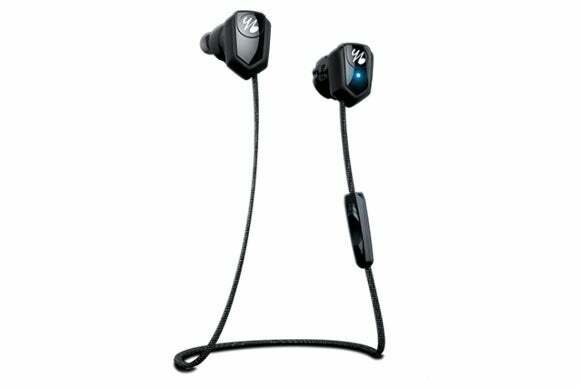 The Leap Wireless come with two different sizes of earbud covers in the box, a micro-USB charging cable, and a zippered nylon storage pouch. The earbuds recharge via a micro-USB port atop the right earbud and get around six hours of battery life—plenty of time for a workout, but not for an all-day outdoor activity, such as hiking. According to Yurbuds, the Leap Wireless’ unique earbud shape is ideal for delivering excellent audio quality, and they do sound good—they’re definitely better than average for workout headphones. They don’t produce a lot of bass, but their low end is concentrated and thumpy where it needs to be. Mid-range frequencies get a little lost, but the highs are bright and clear. The blend delivers vibrant and dynamic performances with both instrumentals and EDM tracks. Should you screw these in your ear? Yurbuds won’t fall out of your head while you’re exercising, which solves the number-one complaint most people have with earbuds. In that regard, they might be the next best thing to custom-fit earbuds. Now with the Leap Wireless, they’ve done away with the cable that chains the earbuds to your device. 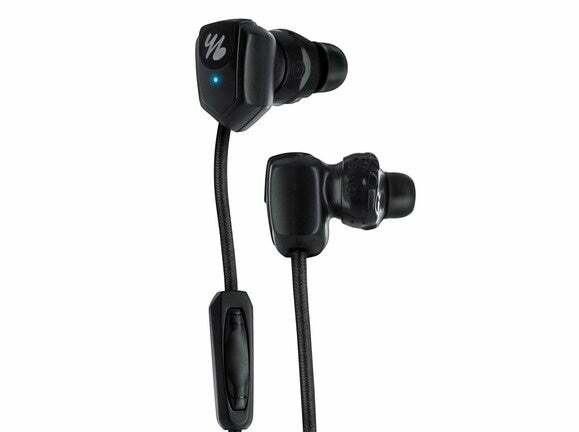 But you’ll need to stick a pair in your ear to see if their solution is as comfortable as you can tolerate; and perhaps more importantly, if you find their audio quality to be up to snuff.